Sleep Deprivation Accidents - Truck Drivers: Why Drive Sleep Deprived? Truck Drivers: Why Drive Sleep Deprived? Home / Safety / Truck Drivers: Why Drive Sleep Deprived? 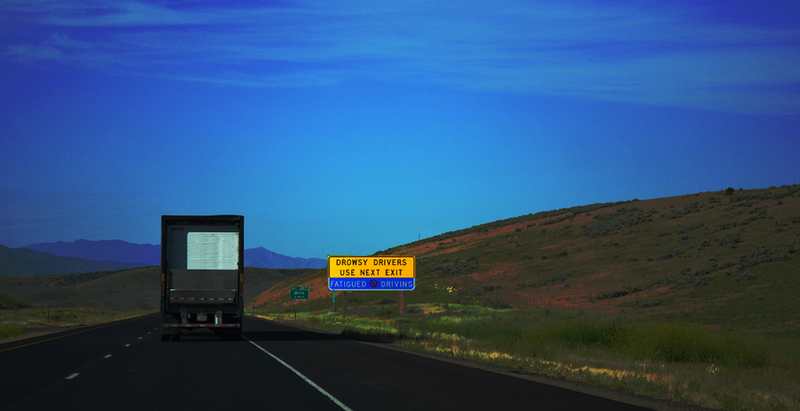 The trucking industry moves all sorts of goods across the country, from agricultural products to zinc ore. Truck drivers perform a crucial task in our society, but the demanding, deadline-oriented nature of their job means that many are chronically sleep deprived, and at high risk for drowsy driving-related accidents. According to the Centers for Disease Control (CDC), 35% of Americans don’t get the recommended seven hours of sleep per night. All road users, including truck drivers, risk losing focus behind the wheel if they haven’t had adequate rest. The National Sleep Foundation reports that when you are sleep deprived, your body reacts similarly to drinking alcohol. When you go without sleep for 18 hours straight, you drive as though your blood alcohol level is .05% – less than the .08% at which you are considered legally under the influence, but still slightly impaired. If you’ve been awake for 24 hours, however, it is like having a blood alcohol level of .10%. Every year, there are nearly 44,000 drowsy driving-related injuries on U.S. roads. Some drivers may not recognize the effects that sleep deprivation can have on their bodies, but these effects are very real: neurons in the brain begin losing their ability to communicate input into conscious thought, which slows reaction times. Drowsy drivers simply cannot make the instant judgments that safe driving requires. Commercial trucks are by far the largest and heaviest vehicles on the road. When they’re involved in accidents, injuries and deaths are common. Unfortunately, the freight trucking industry is notorious for drivers working dangerously long overtime hours. A recent study in USA Today found that trucking companies working at the Port of Los Angeles often forced drivers to work 20-hour shifts, six times per week. you’re drifting in and out of the correct lane. you can’t remember the last few miles traveled. you have a hard time keeping your eyes open or your head up. Although most truckers know the importance of sleep, the nature of the industry can make it difficult for them to get the rest they need to drive safely. Even when drivers have a chance to rest, their sleeping conditions may not be optimum. Many drivers sleep in their cabs, where they may not have a comfortable mattress, controlled temperature or lighting conditions, or the silence needed for deep, restorative sleep. May work up to 60 hours per week, or 70 hours in eight days. Must take a 10-hour break after driving 11 hours total. Must take a 10-hour break after 14 hours on-duty. Must take one 30-minute break after 8 hours of being on-duty or driving. If you are a truck driver and your employer is not abiding by the above laws, be aware that you are protected under federal law. We encourage you to report your company to the U.S. Department of Transportation (DOT). Your employer is prohibited against retaliating against you under the Surface Transportation Assistance Act (STAA, 49 U.S.C. Section 31105). If they do, you should report any such retaliation to the Federal Motor Carrier Safety Administration and/or the Occupational Safety and Health Administration. If you have been injured in an accident involving a commercial truck, whether it is due to drowsy driving or any other factor, the experienced truck accident lawyers at TorkLaw can help. Call us at 888.845.9696 for a free consultation.